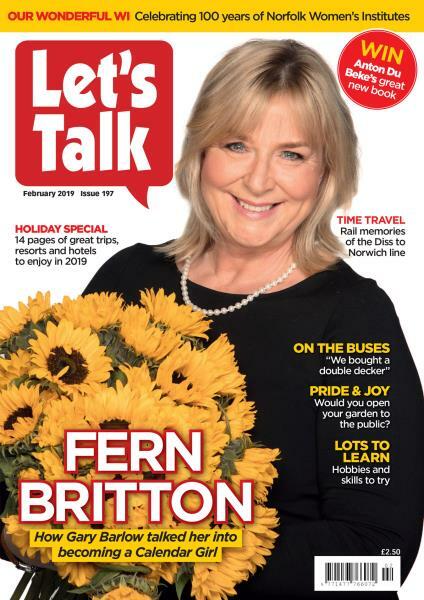 Let’s Talk is a lifestyle magazine covering East Anglia, from North Essex to the “bump” that is the north Norfolk coast. Buy a single copy or subscription to Let's Talk magazine. The region is a rural cul-de-sac, no through roads. You only come here if you have a purpose so the countryside has an added degree of unspoilt charm while the world goes by at slower pace. Let’s Talk is tailored for 50+ readers and the wide variety of content reflects the lives and aspirations of those fortunate to be part of this unique landscape. The magazine mixes nostalgia and human interest stories with features for those eager to get-up-and-go! And there are the popular puzzle pages plus a reader advice section with help from a panel of experts.